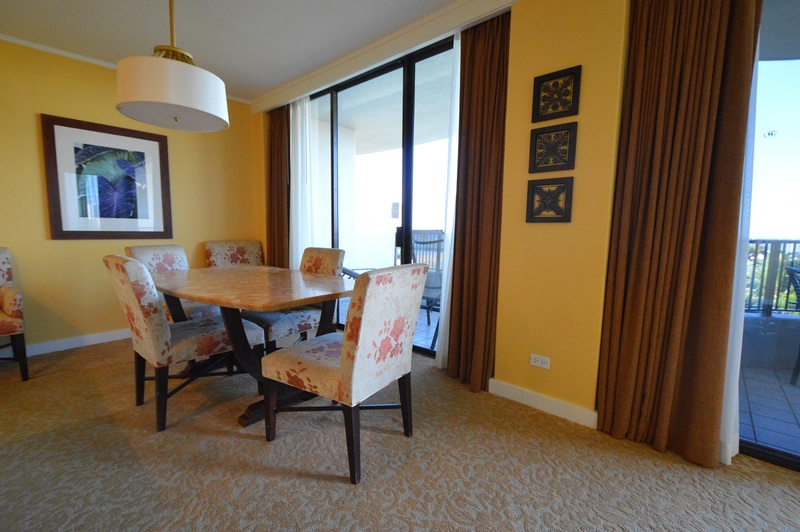 One of our staff members stayed at an oceanfront timeshare unit in the Hilton Lagoon Tower this month. Here is a brief experience report you may find useful. The first impression we had was that it was really spacious! Perhaps a little outdated but Hilton Grand Vacation takes very good care of their timeshare units. Sofas are clean and comfortable. Lighting is very relaxing too. 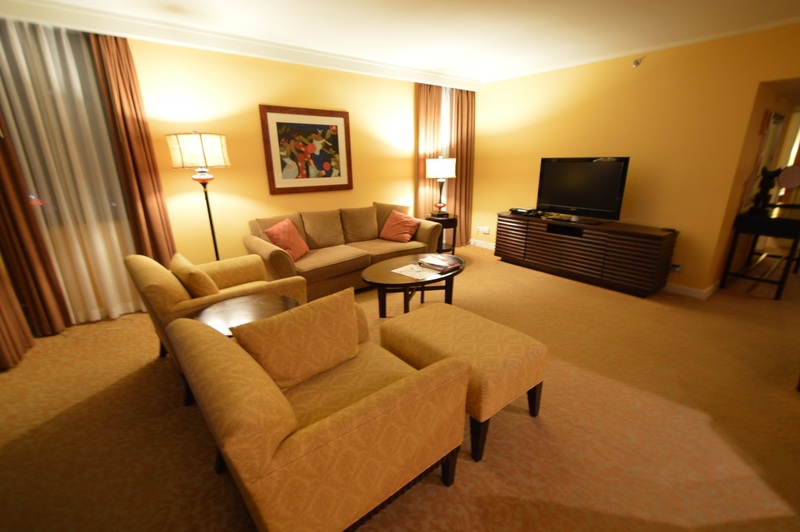 Plenty of space for little ones to run around and enjoy a family vacation. 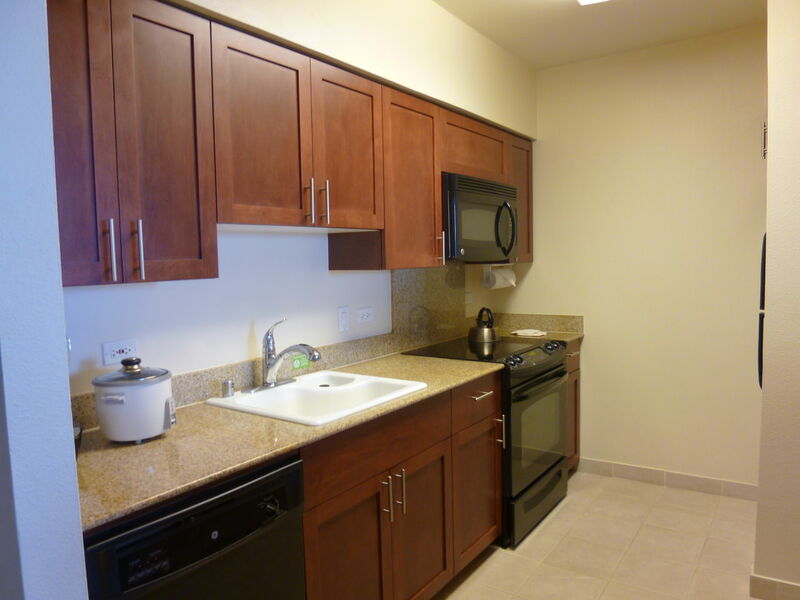 The kitchen is great for occasional cooking. Perhaps not every night as you also would want to try local cuisine! You do need to buy the essential cooking items like oil, butter, salt/pepper etc. We used the oven to cook steak and baked potatoes. It came out great! 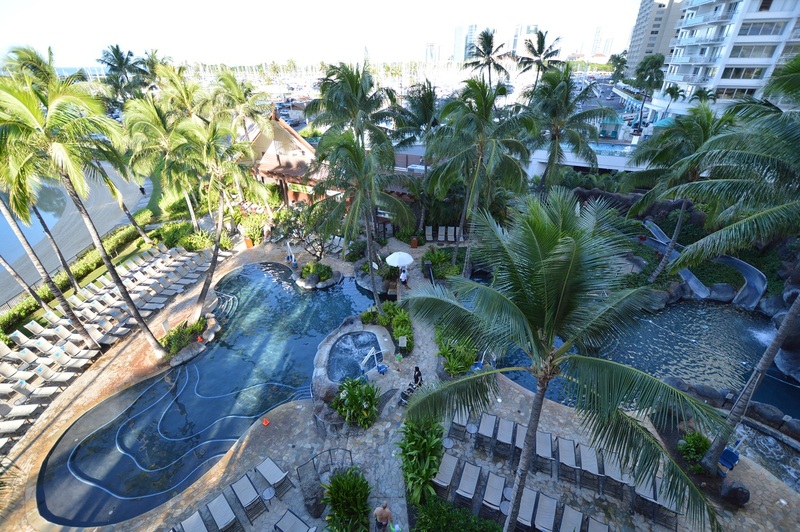 The pool area is a great plus for families with young children! Early mornings and late nights are almost empty and a great time for a peaceful time. We also enjoyed the Friday night fireworks – and here’s the great part – in the Jacuzzi(!) in the pool area. There were a few others but at times we had the Jacuzzi to ourselves. I think many guests are staying in their room to see the fireworks or walking around the Lagoon. 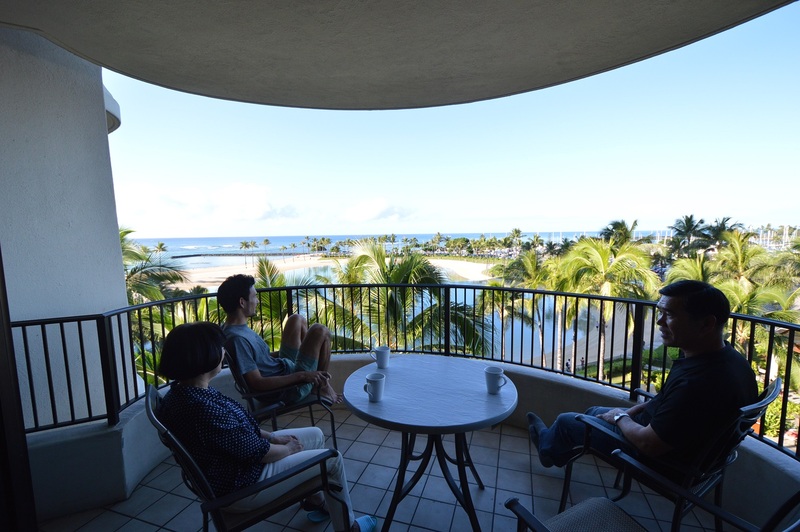 Every morning we enjoyed our breakfast on the lanai watching the waves come and go…. Although only one non-decaf coffee pouch was provided, we asked the room keeping ladies and they gave us plenty of coffee to enjoy for the rest of our stay. Parking was $28 per day. On our first day, we drove into the parking structure and took a ticket at the entrance. We told the receptionist that we would like to park our car every day and so she charged our room with the parking fee. We were told to discard the parking ticket and were given a parking card to use for the duration of our stay. On our last day, we had given our parking card to the reception desk at check out. When we left for the airport, all we did was give the parking attendant our check out paperwork.